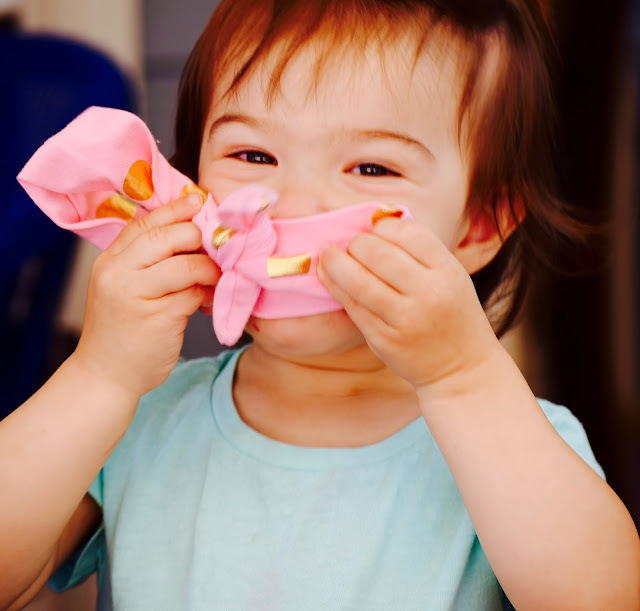 When I first had my daughter almost two and half years ago, I was hopeful. I was hopeful to pass on wisdom, encouragement and strength for her to grow into a smart, sweet and social little lady. We've been lucky, blessed and extremely fortunate to see Lily blossom into such a social butterfly but there are families out there that are not as lucky as we are. Headbands of Hope is an organization that manufactures and sells headbands. 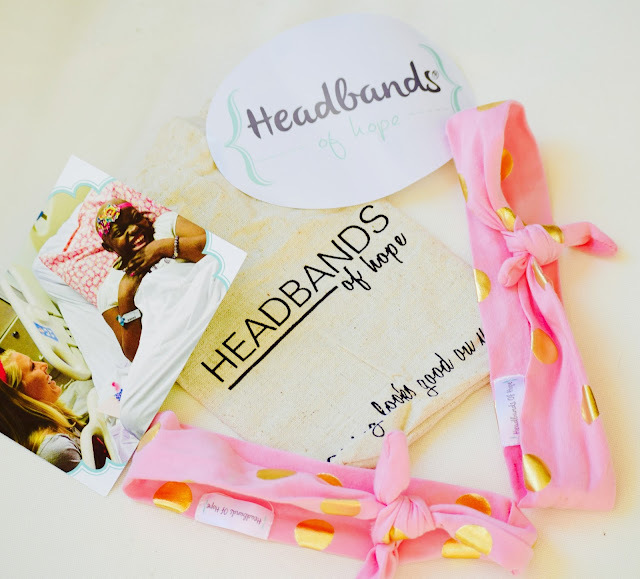 With each purchase, this amazing company gives 1 headband to a child with cancer as well as donates $1 to the St. Baldrick's Foundation to help fund childhood cancer research. So, if you buy one headband, you pretty much are hitting 3 birds with 1 stone; one headband for yourself, one to brighten the life of a cancer patient AND helping to contribute to cancer research to help the lives of those children who are affected with this horrible disease. How about that good a job well done?! 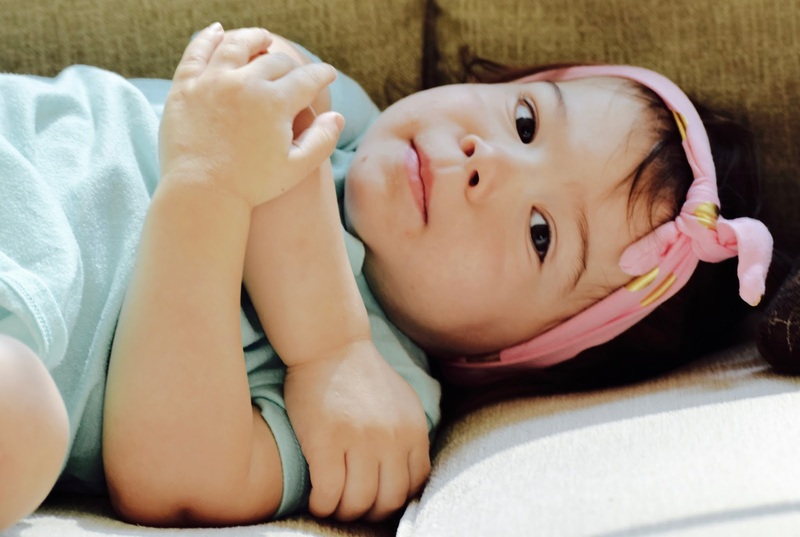 I received the gold and pink polka dot headbands which are incredibly soft and lightweight. Lily wanted to join the fun and while she's not always a huge fan of wearing anything in her hair, she actually tolerated this gorgeous headband for a few minutes while playing outside with me. Her favorite thing to do kiss her headband like it was her best friend. 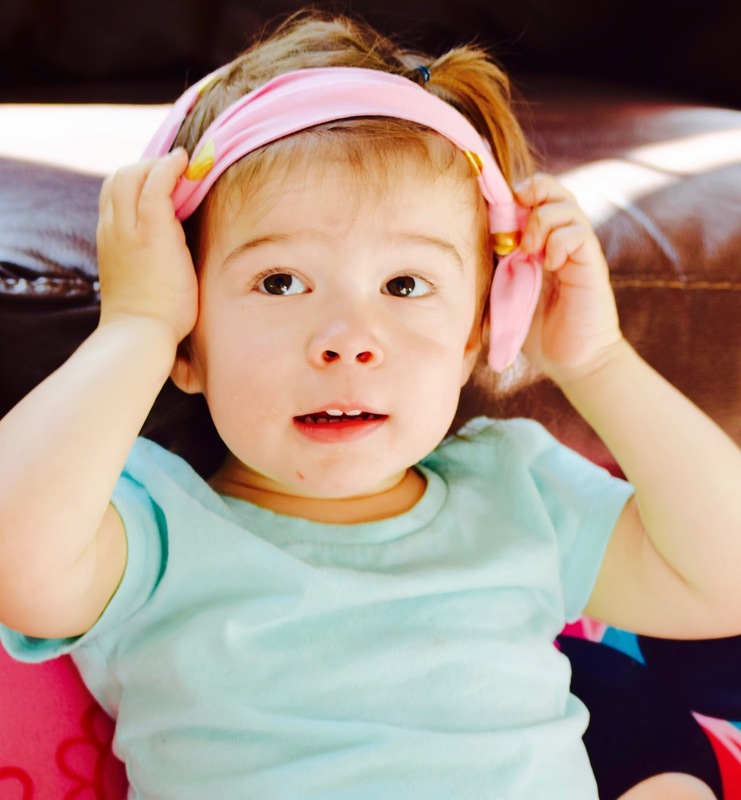 While Lily may not have much hair herself, it's nothing compared to the kids in the hospital that have it falling out daily or needing that extra push of confidence during their battle. 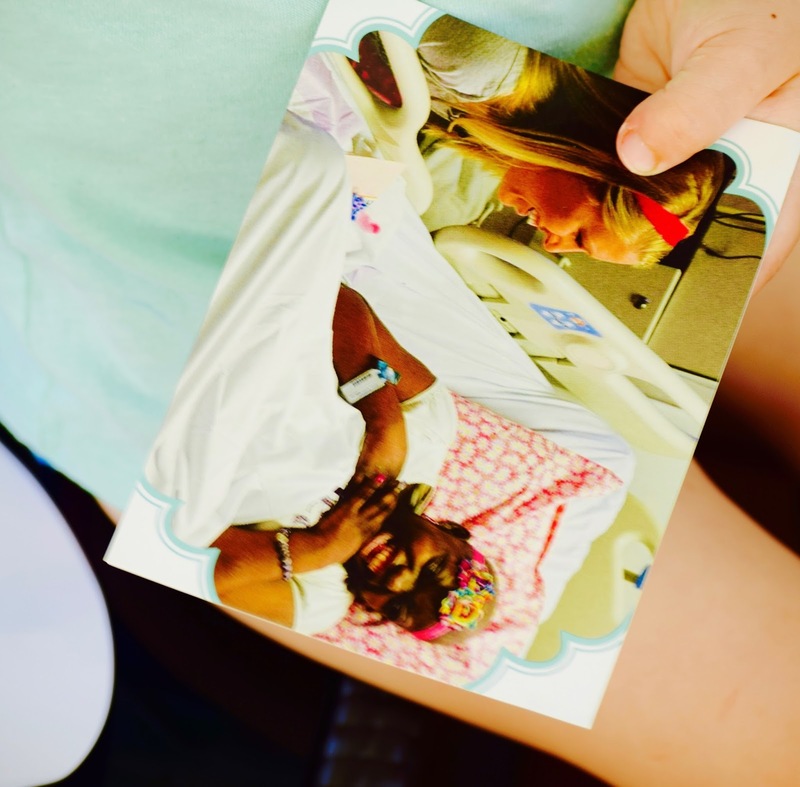 They are warriors,kids who are fighting day in and day out to be with their parents, friends and loved ones. 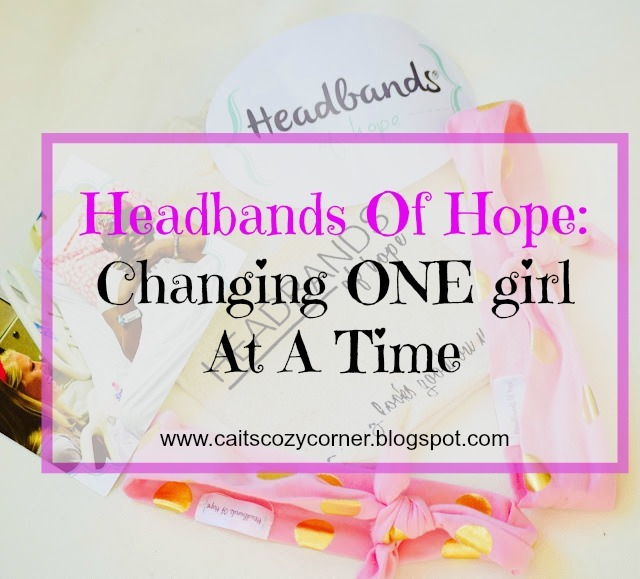 Headbands of Hope is an incredible organization that's helping those kids feel beautiful again despite not having hair, or being able to act as normal as possible. Wearing these headbands makes them feel whole and part of the world again. Wearing these headbands makes them feel alive. Wearing these headbands makes them feel normal. Please consider purchase one not just for your sake, but theirs and their families. please do so here. You're purchase makes a difference. What a sweet organization and how adorable does Lily look in the top pictures?! I love that they give away a headband to a child with cancer.